A system has been defined as considered principles or procedures of classification. Legal has also been defined as something of or relating to law; falling within the province of law. Thus, from the above definition of ‘legal’ and ‘system’, a legal system can be defined as the principles or procedures for the classification of laws, matters or procedure relating to them. It can also be defined as a body of rules including the principles, rules or doctrines associated with them that have the force of law in a given society. It should be noted that from a technical standpoint, there are as much legal systems as there are sovereign independent countries. 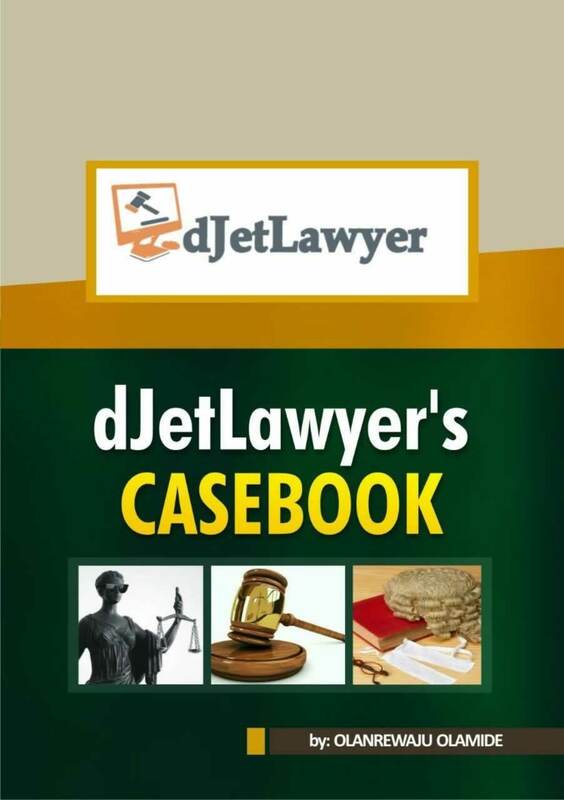 For example, Nigeria has its own legal system which has been said to ‘consist of each totality of laws or the legal rules and machinery which operate within Nigeria as a sovereign and independent African country. However, on a larger scale sovereign countries are grouped into larger legal system classifications due to them sharing similar fundamental characteristics. The grouping of countries into legal system doesn’t necessarily mean that all their laws are identical. These individual systems are grouped into larger classifications because they share similar fundamental principles. For example, one similar characteristic of common law legal system is the doctrine of judicial precedent. As initially stated, further emphasis will be laid on two of these legal systems. Thus, common law and civil law will be subsequently expatiated upon. The common law legal system is one which revolves around the principle of stare decisis which means ‘let the decision stand’. It is further explained as a golden rule which states that decisions of higher courts are binding on lower courts and decisions of courts of coordinate jurisdiction are for all intents and purposes binding between them. The period of the historical development of common law can be traced to the Norman conquest of the British isles in 1066 AD. Before the Norman conquest, the indigenous British peoples had their indigenous customary laws. In 1154 Henry II became king. He had the practice of sending Judges from his central court to hear disputes throughout the realm. When these judges returned from their tour, they would discuss the various customary laws they had encountered in their journeys. The judges would then agree on which of these customs were more reasonable and they would then be applied in subsequent disputes throughout the realm. This is why the common law is usually described as having judge made laws. Judges made law operated as the primary source of law until parliament acquired the powers to make statutes. It should however be noted that most of these statutes are in line with the fundamental tenets of the judge made laws. The common law legal system was transferred by England to her colonies. This they did with the aid of reception laws. One of the reception statutes in Nigeria is S.32 of the Interpretation Act which provides that the rules of common law, doctrines of equity and statutes of general application that were applicable before 1st January 1900 shall be applicable in Nigeria. Countries that practise common law include: Nigeria, United states of America(excluding Louisiana), Canada(excluding Quebec), India and most other former British colonies. 1. It operates the doctrine of judicial precedent. In the case of Global transport vs free enterprises Nig ltd, judicial precedent was described as meaning that decisions of courts of superior record are binding and the decisions of courts of coordinate jurisdiction are for all intents and purposes binding between them. 2. The method of adjudication is adversarial in contrast to inquisitorial. This means that judges are not expected to leave the bench and come into the field. 3. Unlike civil law, most of the laws in common law legal system are not codified. 4. Also, the jury system originated in common law. It is however not practised in Nigeria. 5. Unlike the civil law its judges are not career judges. Before a person can be a judge in a common law legal system he has to have been a practising lawyer for a while. This can be seen in the provisions of S.250(3) CFRN 1999 provides that for a person to be judge of the high court, he must have been a legal practitioner for not less than 10 years. 6. In the common law, judges make law through their various decisions. Civil law legal system is one which originated from the Roman empire and whose primary feature is codification. Also, in comparison to common law, the doctrine of judicial precedents does not apply in civil law courts. Historically, civil law encompasses the legal ideas and systems derived from the code of Justinian but heavily overlaid by Napoleonic, Germanic, Canonical, feudal and local practises as well doctrinal strains such as natural law, codification and legal positivism. The civil law legal system takes the Roman law as its major inspiration and in particular the code of Justinian. The Justinian Code provided a sophisticated model for contracts, rules of procedure, family law, wills and a strong monarchical constitutional system. Roman law continued uninterrupted in the Byzantine empire until its fall in the 15th century. It spread due to the fact that it became adopted by most of the former territories of the Byzantine empire and the Western European powers. It also spread because its students were the only trained lawyers. Consequently, Roman law was applied as secondary law when the local laws were not adequate. Eventually, the works of glossators and commentators led to the development of the common body of laws that were adopted in continental Europe. Most European countries finally promulgated these laws as their positive law and codified it. An example is the Napoleonic code of France. Countries that practise civil law include France, Germany, Norway, Netherlands and most of the rest of continental Europe. 1. The influence of scholars on the evolution of civil law is very significant. It is usually said that while common law is judge made, civil law is university made. 2. The laws in civil law legal systems are largely codified. Codification is the compilation of laws into a single document according to subject matter. 3. The doctrine of judicial precedent doesn’t apply in civil law. 4. The judiciary in civil law is made up of career judges in contrast to common law where judges have to be initially lawyers. 5. Another feature is that in civil law the administration of justice is inquisitorial in contrast to the adversarial nature of common law. This isn’t everything. I was hoping to see something on Customary law, that’s one form of legal system I haven’t fully grasped. But in all, this article is a lifesaver, very explicit! Thanks a lot. I would work on adding it to the post. I don’t really get you. Please i have a question which i want u to help me out with. Discuss the he nature and feature of Nigerian legal system citing relevant examples and provisions of the law.